Cnoc an Chuillinn is the 7th highest place in Ireland. Picture from group : Misty ridge peak. Lofty bump on Reeks ridge. 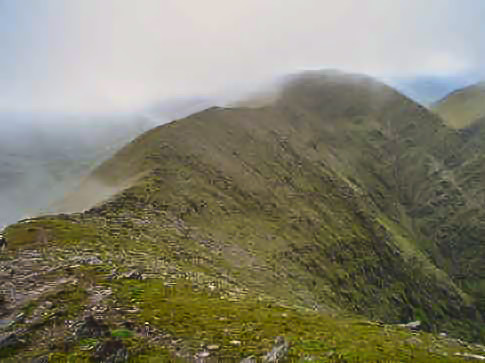 Cnoc an Chuillinn is a minor summit on the ridge of the MacGillycuddy's Reeks between Maolán Buí and Cnoc na Toinne.